Even though I've moved on and developed a yoga practice that is more consistent with my genetics and life experience, I always default back to Ashtanga for restoration. Whenever I eat unhealthy foods or had been remiss in my healthy habits, I take refuge in Ashtanga to reboot my system. Ashtanga is widely accepted as the most athletic of all forms of yoga. It generates heat through a Vinyasa flow that is both graceful and challenging. The story has it that when K. Pattabhi Jois, the Ashtanga guru who popularized the discipline, was introduced to Tirumalai Krishnamacharya for yoga tutelage, Pattabhi was a motivated and very strong 12-year old. The great teacher then developed a sequence suited for Pattabhi's strength and resolve. But Krishnamacharya wasn't just a yoga teacher. During his time, he was more known as an Ayurvedic healer. 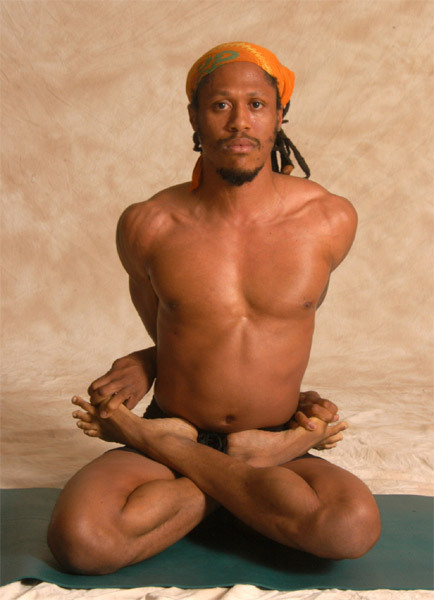 His yoga (Ashtanga Primary Series) is therapeutic - thus my go-to for body reboot. Here in Davao, Fritz delivers Ashtanga on a sweated mat. Ashtanga is consistently taught by tradition (no poetic words, set sequence, ujjayi breathing, drishti, etc.) but every teacher's personality still manifests...some more than others. Fritz has an affectionate lean on his sequences. He gently persuades. Thanks to him, I was able to do 2 asanas I had great difficulty doing - the bound lotus and Marichyasana D. At the end of the practice, I was a well-tuned and well-lubed yogi...and drenched!